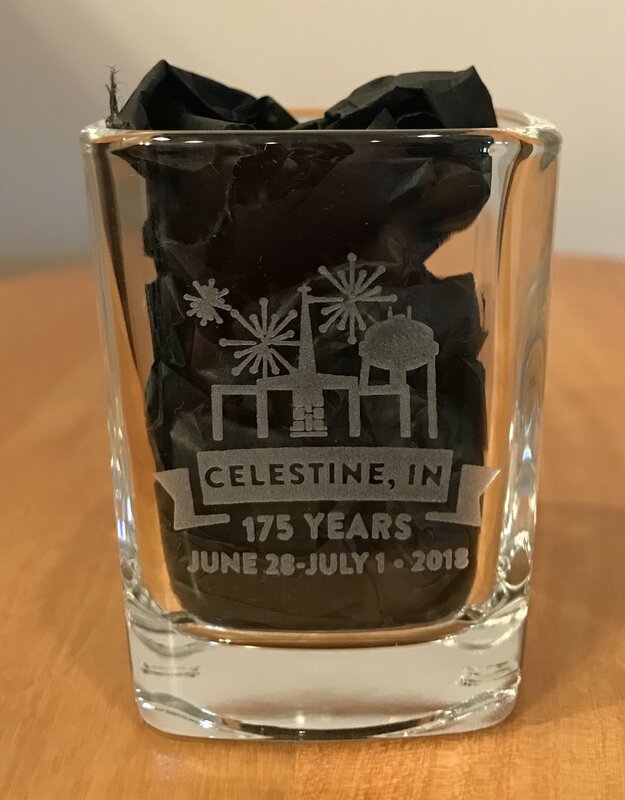 Celestine Streetfest and Celestine 175 merchandise is available annually at our fest and other events. 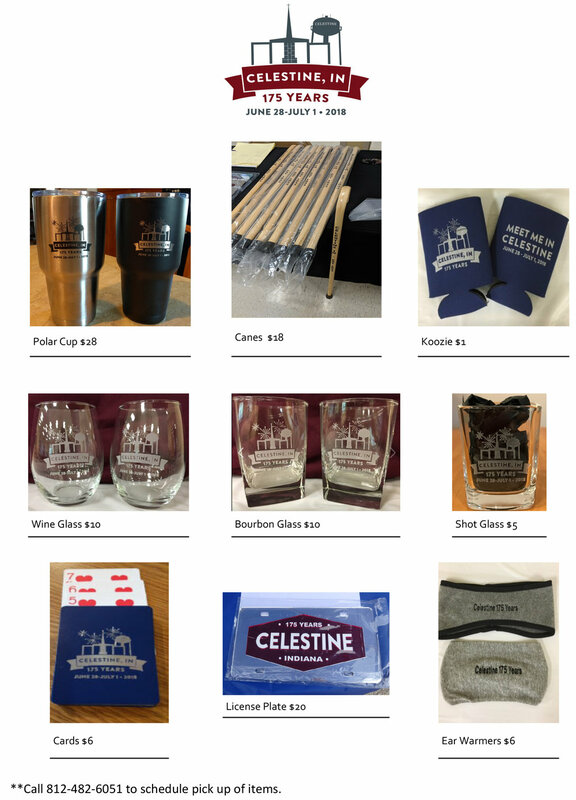 To purchase, please call or text Lacey (812.639.1443) or Kelly (812.639.7630). 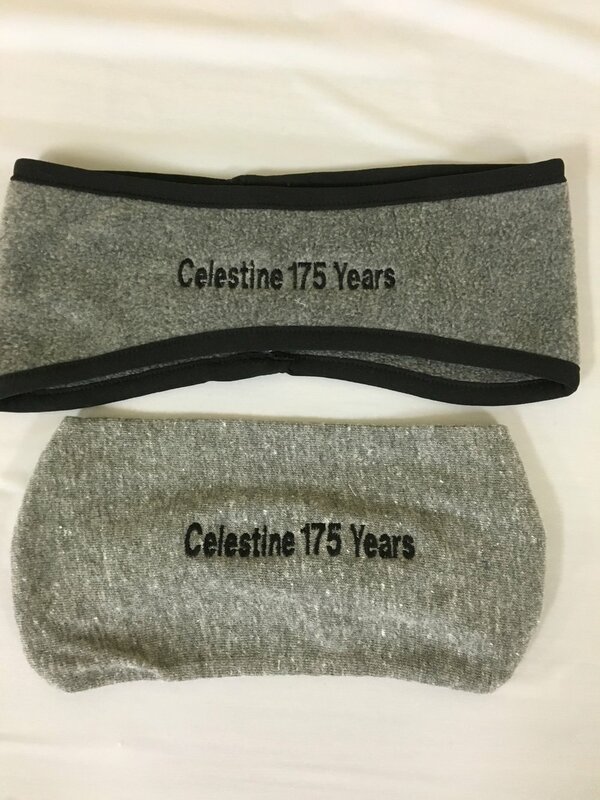 These items make great souvenirs to remember this very special time in Celestine history by and can be passed on from generation to generation. Call today as quantities are limited! History Book Pre-Orders: Celestine 1993 (First 150 Years), Celestine 2018 (Past 25 Years) or a bundle of both books & Beyond the Calendar a collection of Photos, Perpetual Calendar and Recipes can be ordered by completing the order form available at celestineindina.com and sending St. Isidore Parish Office. Please note there will only be 700 copies of Beyond the Calendar available. Beyond the Calendar The 170 page perpetual calendar with photos of the Celestine area and events along with recipes is available for $15. 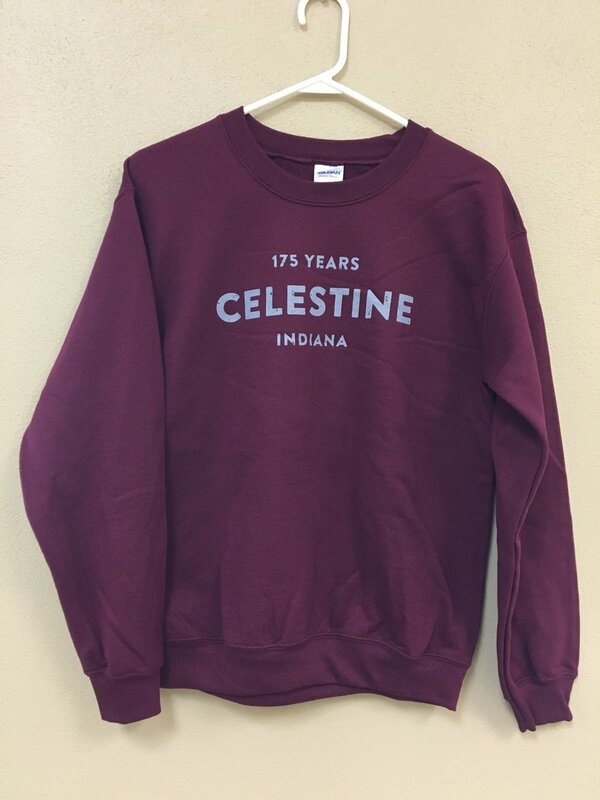 The "new" Celestine: 2018, the 175th History Book, is also available for $25. 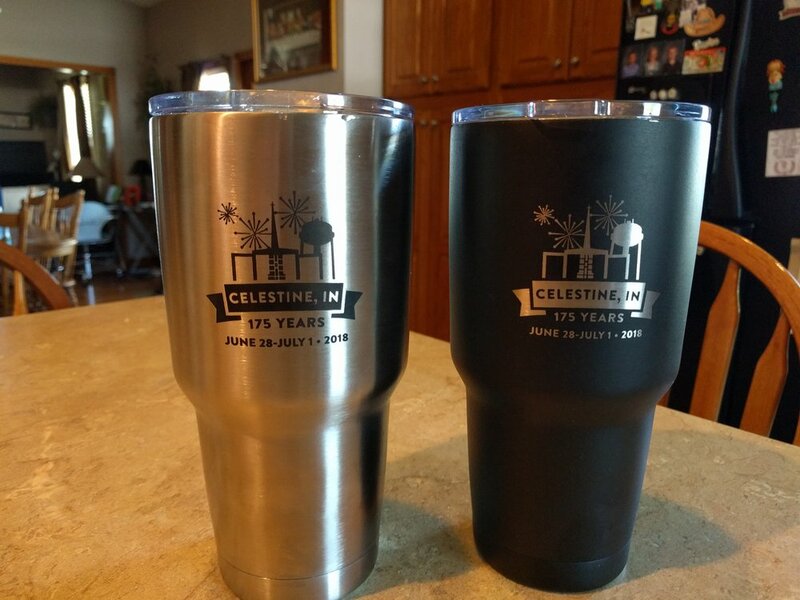 It gives the history of events and activities in the community over the past 25 years and serves as an addendum to the 150th History book Celestine: 1993 (which is still available for $15 or a bundle of both books for $35).